Fall season should be all about long walks and coming back to a home worthy of Instagram dreams to sip on some hot beverages. Neoclassical, with its superb location and 2,100 square feet topped off with stylish decor will allow you to do just that. 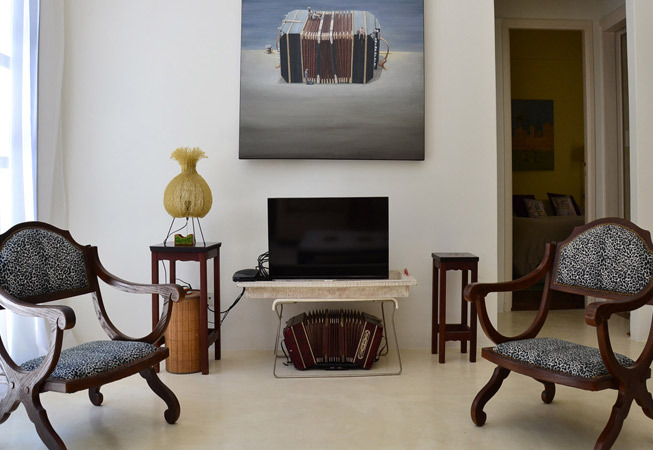 This house for rent in Palermo is a unique private residence and offers three suites around a central inner courtyard, each one decorated and furnished to a different style. 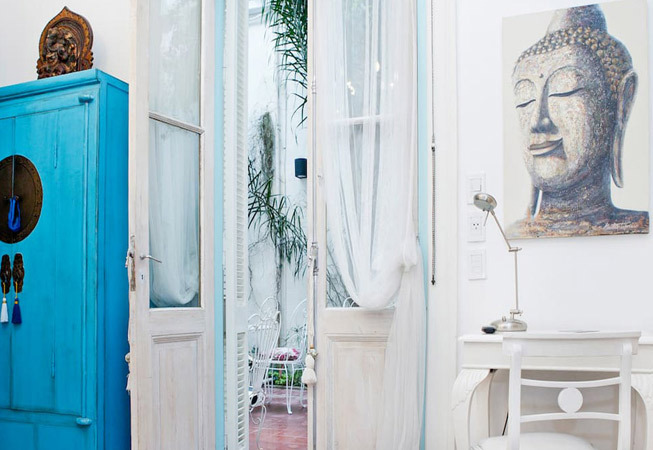 This is a truly eclectic Buenos Aires home! 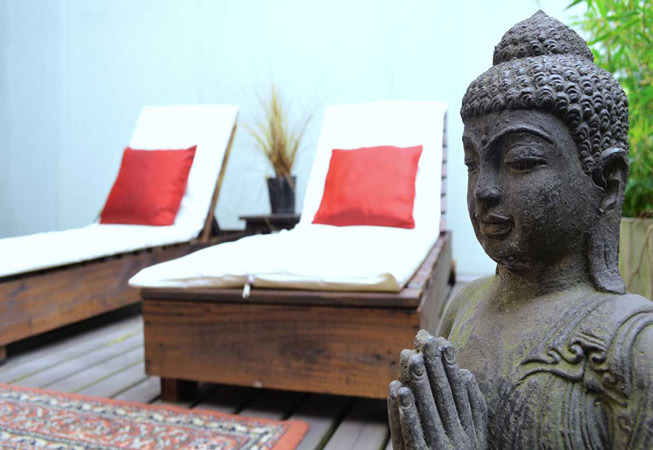 The delightful inner courtyard makes this a perfect place where to read a good book -or our blog! - when you are not exploring the city. 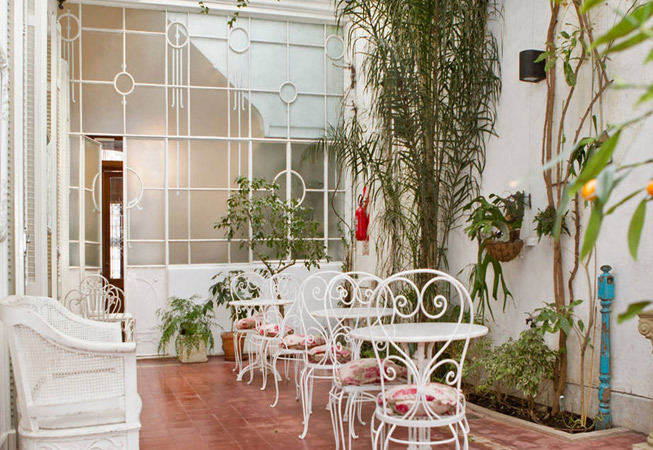 Equipped with wrought iron tables and chairs, it has a feeling of rural France about it. 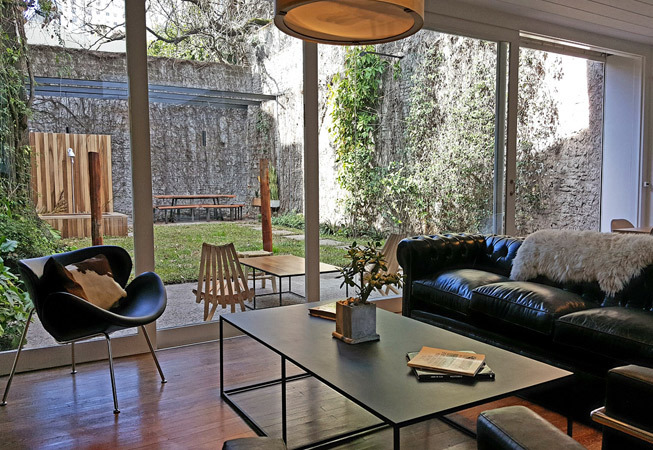 This two bedroom apartment for rent in Buenos Aires has a rustic, contemporary feel to it, polished concrete floors and antique furniture work together to create a homely environment. 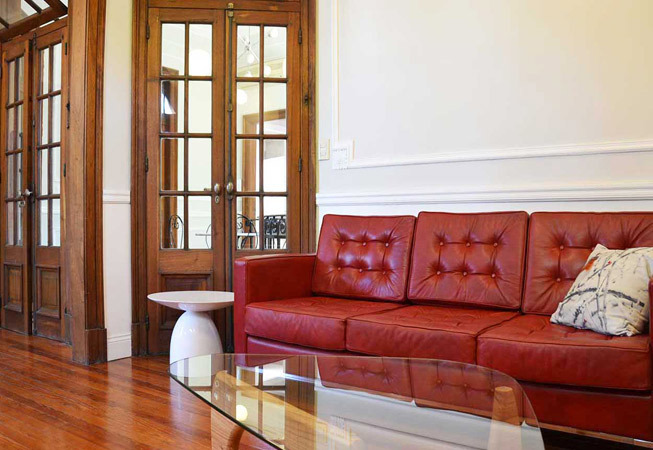 The central Recoleta location, literally being a block away from Recoleta Cemetery, makes this a great apartment to explore the surrounding neighborhood from. 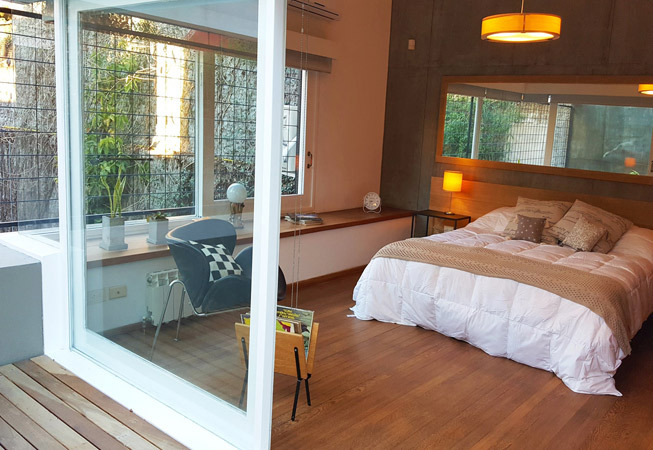 This apartment for rent in Recoleta honours its name with a private space that brings luxury to a whole other level and will make you want to take a cheeky city break. The view? Non other than that of lined trees turning vivid in autumn shades of red, orange and yellow. 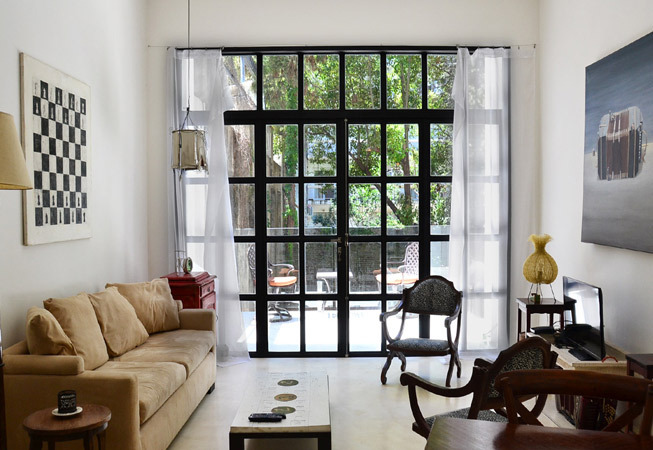 This renovated 1920s home for rent in Palermo Soho is hidden gem in the hippest part of town, the real feel of old Buenos Aires but impeccably updated and modern. To get you into the Autumn-vibe this house is perfectly located right above Paul’s French Gallery: a local boutique shop selling mostly French inspired home décor, where you will also find a tea shop, a flower shop and a café, literally on your doorstep. 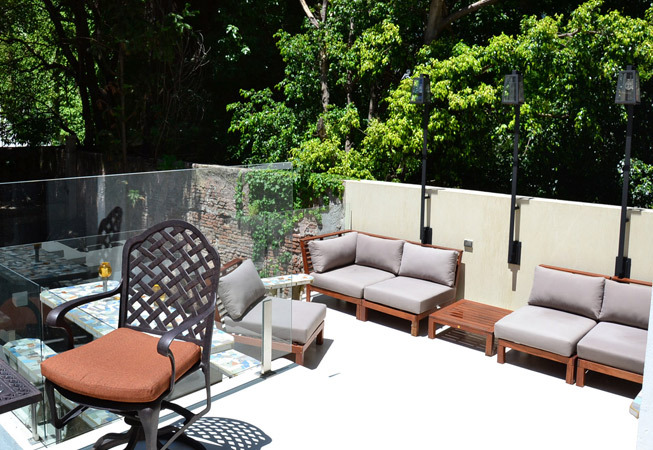 If the tasteful décor and perfect location were not enough for you then the private courtyard, terrace and barbeque should close the deal! 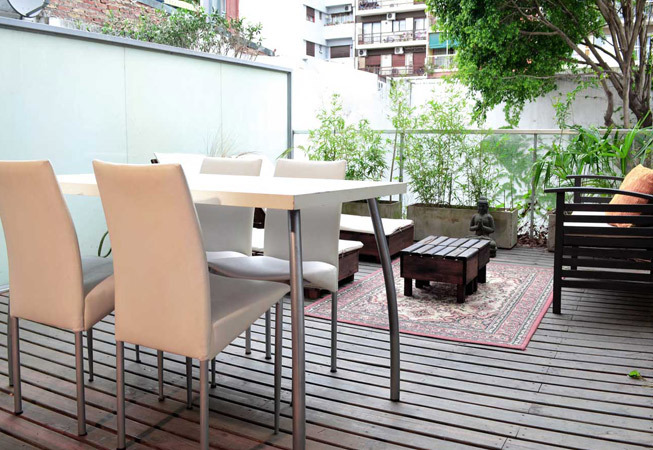 This apartment for rent in Buenos Aires might be located in one of the coolest strips of the city, but that doesn't stop it from giving off true zen vibes. This duplex apartment in Las Cañitas comes fully equipped with everything you might need, and then a bit more. The floor to ceiling windows make this loft a light filled room from dawn to dusk. The highlight of the property is the private terrace from which you can enjoy the idyllic fall temperatures combined with the breathtaking colors of the sunset over the city’s lively strip and Polo fields. Toss in a glass Malbec to pair to perfection! Granted, Buenos Aires is picturesque any time of the year, but visiting in Autumn has its own charm and aims to impress with spectacular displays of magnificent colors. 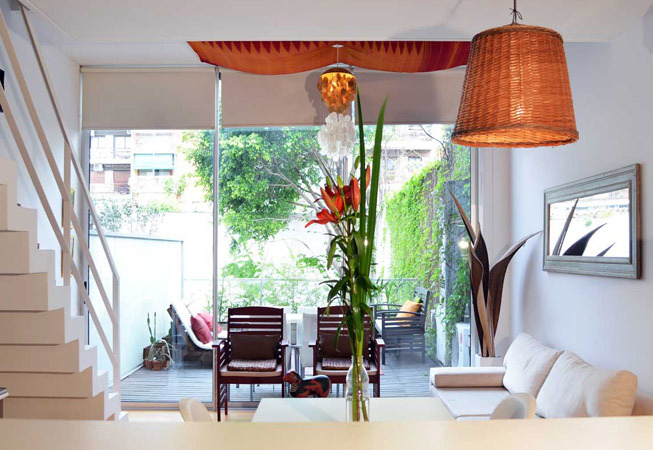 Stay in style in one of our suggested homes above or take a peek at our full selection of apartments for rent in Buenos Aires, click here. Of course you don’t need an excuse to visit Buenos Aires, but if you’re trying to make up your mind as to when you should take the red eye and land in the actual city that never sleeps, you must know that autumn is a great time to do so. 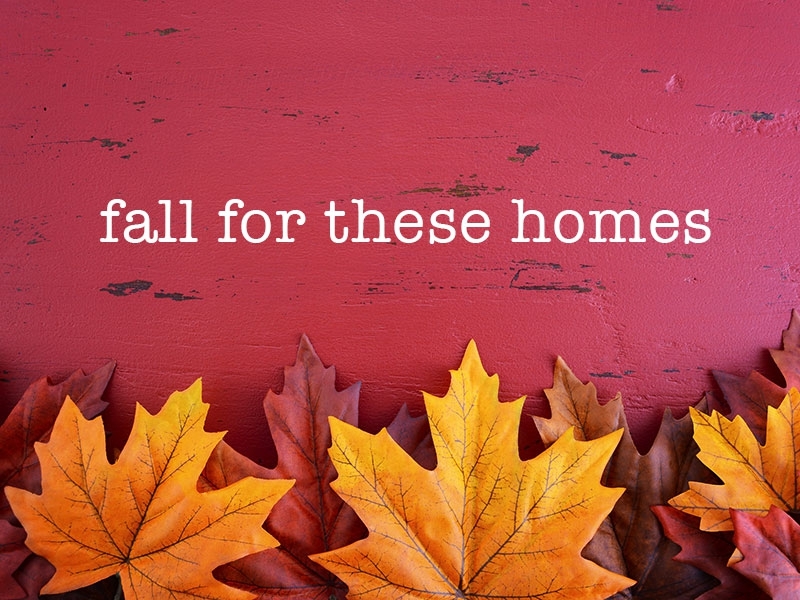 Get inspired with our collection of handpicked, fall-perfect homes. 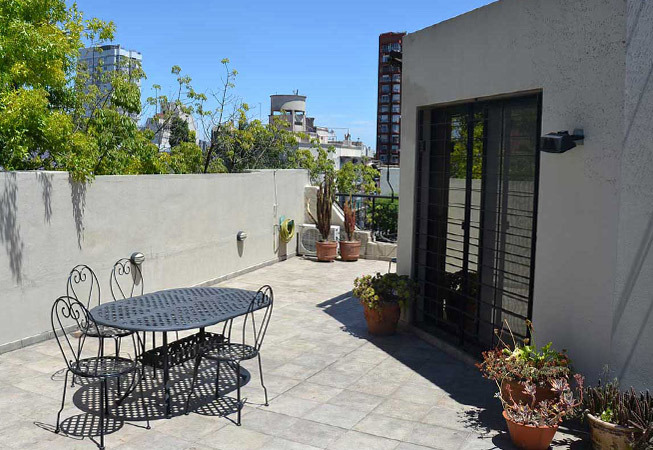 This apartment for rent in Palermo Soho might as well be your own personal oasis in the heart of the city. 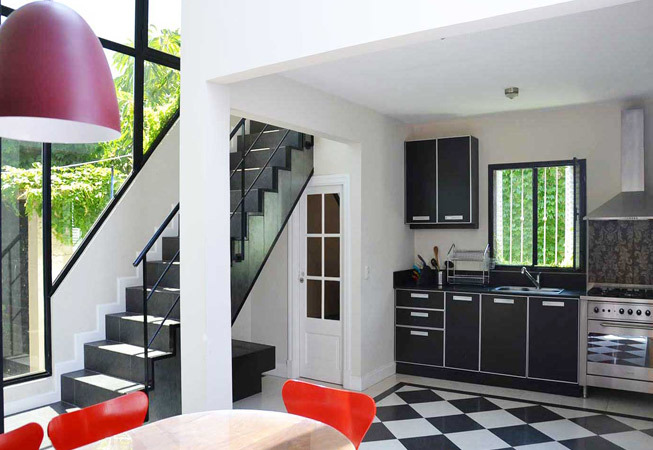 A secluded, fully renovated, 4 bedroom house tucked behind some characteristic porteño street art. Nordic-inspired decor and wooden floors grant a Scandinavian feel to it while distinctive outdoor spaces provide a unique view of the gorgeous autumnal foliage. 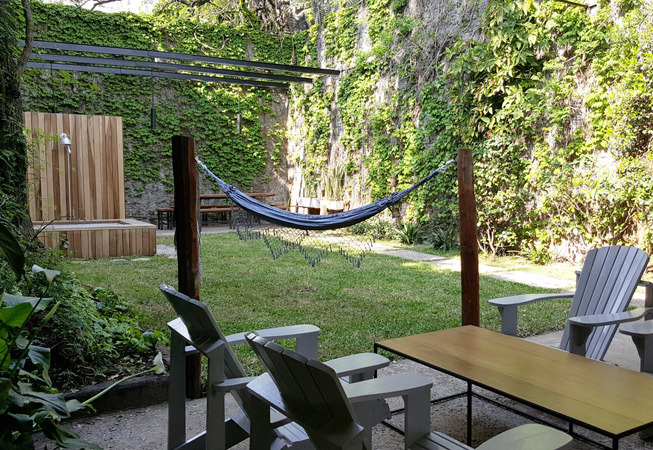 This apartment for rent in Palermo Soho also features a great chill out spot, comfortable seating and a relaxing space to lie back and check out tomorrow’s itinerary. As an added bonus, you get your own private deck.